Let’s build a wall around suburbia and make the unit owners pay for it – Is a Trump-style wall just around the corner? So Donald is going to build a fence. And he’s going to make Mexico pay for it to be built (somehow, eventually, he promises). Like it or not (and I certainly don’t agree with it) ‘The Donald’ is a man on a mission. In his mind he is calling out what on face value seem to be many things that have been happening in America or at the hands of Americans for a long time that on first pass don’t seem to make sense. Judging by the fact that he was elected having overtly declared his intentions prior to being elected, clearly to many in the US they are not crazy ideas. In fact, to them they are completely sane, logical and long overdue. What is missing from these Trump-isms is an active debate and discussion about the issues, rather than just shooting first and then aiming second. At least that is my humble opinion. Now anyone that has followed my previous pieces would know I am not one to take political positions nor to get into debates of idealism. And so, perhaps I have broken my own rules, and you may rightly then ask, why even get into the Trump debate. So what’s the point? What has this got to do with housing and my home state of Queensland. And why might someone want to build a wall around suburbia and make the unit owners pay for it?Well to me, the Queensland greenfield / infill debate has the potential to escalate out of control, as has happened in the US. It has many hallmarks of the lunacy going on in the US about it. 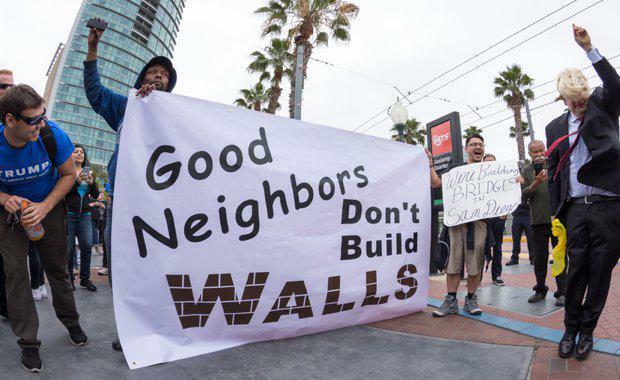 Whilst the US has people waving placards supporting Trump on all kinds of topics, from gun control to his Immigration Ban and the ‘Tweeter-in-Chief’ tweeting about stopping ‘Bad Dudes’ coming into the country, we have people parading around with “Stop Development” and “No Houses” / “City Planning, Not City Cramming” placards. Now I understand and even sympathise with the underlying protectionism and self-defence responses of both groups whether defending their country or defending their suburb from a so-called radical invasion to the ‘density invasion’. The problem I see with these self-defence responses and protests, is that they often lack any attempt to understand or sympathise with the other side of the issue. After all Australia has the fastest growing population of any major developed country, so population pressures, where and how we are going to fit everyone in, and doing so in a financially affordable manner, are not going to go away. So we can’t really put our hands up and say, sorry we are full, ‘no room in the inn’, you are welcome to come here, but there is only room at the edges of our city for you. If you follow this local debate and apply a Trump solution to it, it is clear that the only way Brisbane and South East Queensland can move forward is for us to erect a wall around the units, townhouse and project home (and getting them to pay for it) to stop that riff raff that apparently lives in these ‘rental havens’ from mixing with the rest of us in the apparently exclusive and perfect detached housing suburbs. The extra people will use our parks and schools and they are already over crowded. 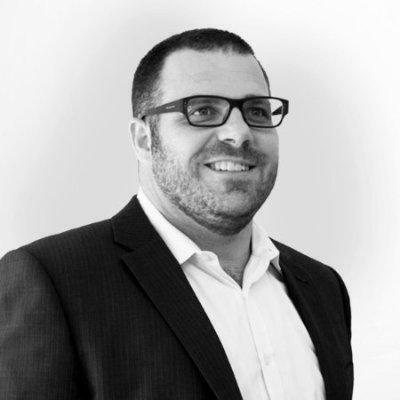 Chris is a Director and the National Planning Leader of Place Design Group, with over 15 years’ experience in the planning and development industry. With understanding of project feasibility, construction, and market conditions from years in the industry, Chris regularly leads major consultant and development teams through the planning approval process.